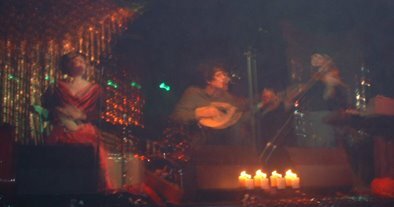 As the first track fades up into my earphones with wind-chimes, acoustic guitar and chopping upon a viola, I know I'm in for a deep journey that recalls thoughts of The Feathers, Joanna Newsom, and Metallic Falcons. A Journey that I'm willing to take and since returning, a journey I insist you all must try. 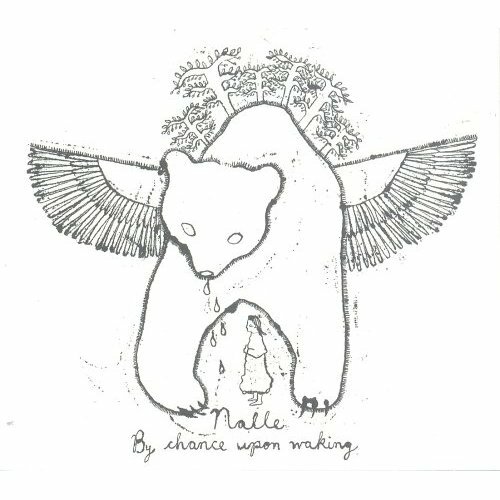 Nalle, featuring Hanna Tuulikki (vocals, kantele, flutes), Aby Vulliamy (viola) and Chris Hladowski (bouzouki, clarinet), formed in the summer of 2004 and are based out of Glasgow, Scotland. They have recently graced us with their debut lp, By Chance Upon Walking, currently out and released by Pickled Egg Records. When listening to Nalle, from start to finish, and this release almost demands that, you get a sense of fusion between our world and the next. With Tuulikki's innocent vocals calling out to bridge the gap that we must travel upon. She sings of a land filled with magic and mysticism and opens up a whole new insight to that place where only dreams are made of. Just hearing her angelic voice provides the listener with an inspiration of child-like thoughts and sensations, and when the harmonies manifest themselves, your journey in the excitement and celebration of earth, life, and death begins. PER had this to say, "Nalle is like a children's toy - a transition object between us and the world. Fused with magic, the haunting songs and sprawling melodies speak of our relationship with the sun, the mountains, and ravens. Through Nalle, we waver on the wobbly branch dividing light and dark, only to fall back at the last minute onto beatific harmonies and sunshine." The instrumentation on this album is highly original and beautiful, and coupled with Tuulikki's loving and comforting voice, it's a shame I didn't come across this release earlier. Highly recommended for fans of Joanna Newsom and Bjork. Below are two tracks from By Chance Upon Walking. Enjoy.